The Foundation Board of Directors candidates have been finalized, and the candidate pages will be ready by this Friday, February 6. Voting begins on February 9, and ends on February 27. Winners will be announced at the Members Meeting at EclipseCon NA 2015 on Monday, March 9. If you are eligible to vote, you will receive an email with instructions. These positions are important to the Foundation's governance, and we encourage everyone to participate! Now that the program is set and keynotes announced, we are working on the extra fun stuff for EclipseCon NA. Here's just a partial list: Icebreaker (for newbies and mentors), Happy Hour, Buses to Burlingame, Exhibitors Reception, and the IoT Challenge, plus Late Night in Knuckles Bar. The Call for Posters is open, and we are taking submissions for pre-scheduled BoFs as well. Pre-registration continues through February 27; register now and save $300! Hotel rooms are going fast; be sure to book yours right away. The nominations are in, and voting is open until February 9. Help us honor the Top Committer and Top Newcomer Evangelist for 2015. Winners will be announced at the EclipseCon NA 2015 closing ceremony on March 12. 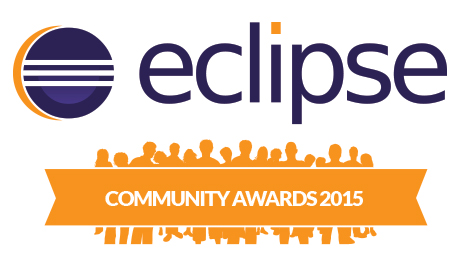 The awards recognize the best individuals in the Eclipse community, and we encourage everyone to get involved. If summer seems far away, make it seem closer by submitting a talk for EclipseCon France! 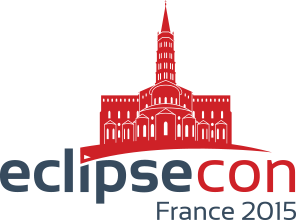 This EclipseCon focuses on the Eclipse working groups and our modeling, embedded systems, Internet of Things, and related communities of interest. EclipseCon France will be in beautiful and sunny Toulouse on Wednesday and Thursday, June 24-25. Come early in the week and attend the Unconference, too. Mars, the 2015 Eclipse simultaneous release, is scheduled for June 24, with the release review on June 12. Other important deadlines for Mars are February 13: CQs due; May 22: IP Logs due; May 29: Review materials due. Eclipse Plug-ins for Gradle provides Gradle developer tooling for Eclipse-based IDEs. The Embedded World conference is an important international event focusing on embedded systems. The Eclipse community has a booth this year, and Bitreactive, Obeo, PolarSys, itemis, logi.cals, Sierra Wireless, and the Almathea4Public project are participating. Come visit us in Nuremberg, Germany on February 24-26.